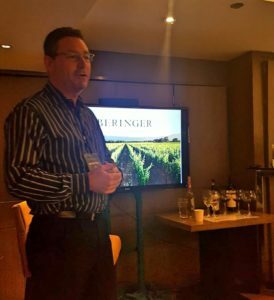 One of the first articles I’ve ever written for the blog involved Beringer and the White Zinfandel… Which is why it came as no surprise that I jumped at the chance to meet, interview, and attend the master class of Mark Beringer, Chief Winemaker of Beringer Vineyards, and the first Beringer in years to be at the helm of the esteemed estate. 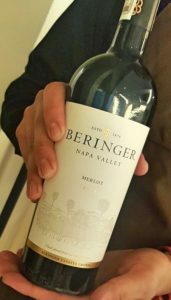 Brothers Jacob and Frederick Beringer, who immigrated to the United States from Germany in the 1850s, founded Beringer Vineyards in 1876. 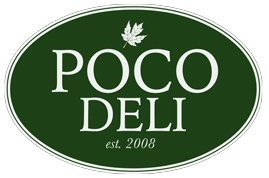 With a vision of producing wines that could rival some of the best in Europe, coupled by a pioneering spirit, optimism, confidence and perseverance that resonates to this day, they ended up creating one of the “largest and most distributed American labels” in the world. 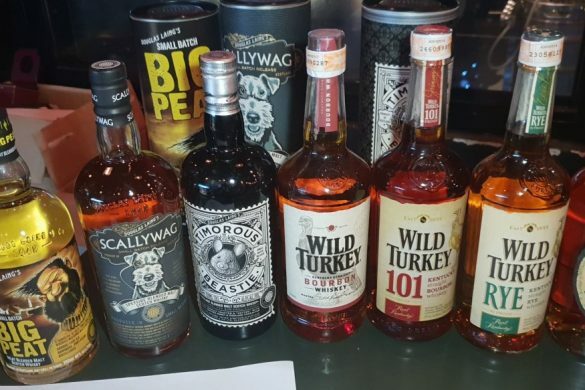 Their sense of innovation allowed a next generation to successfully remain open during Prohibition by obtaining a federal license that permitted them to operate by making wine for religious and medicinal purposes. The same values set by his great-great-grandfather are truly alive and well with Mark today. 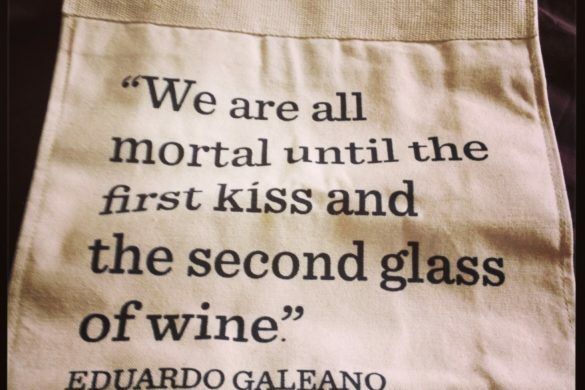 He came on board pretty recently in 2015 (after several stints with some of California’s finest wineries), and he admitted to be in the process of embracing “what drove (his) ancestors there… Their motivations, their decisions.” He likewise expressed his admiration for their drive to establish themselves in what was then an “unknown and untested” environment and “believed in it (enough) to push.” When we spoke of his ancestors’ legacy, Mark said that he hoped to carry on their ability to innovate. 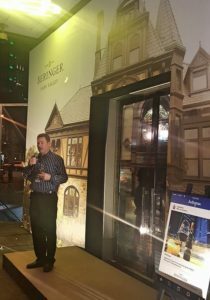 Presently, as Mark discussed, Beringer offers a diverse range of wines, from the affordable supermarket varieties, to the fantastic Single Vineyards, to the multi-awarded Private Reserve wines… Thus ensuring that there’s always a Beringer wine for everybody. 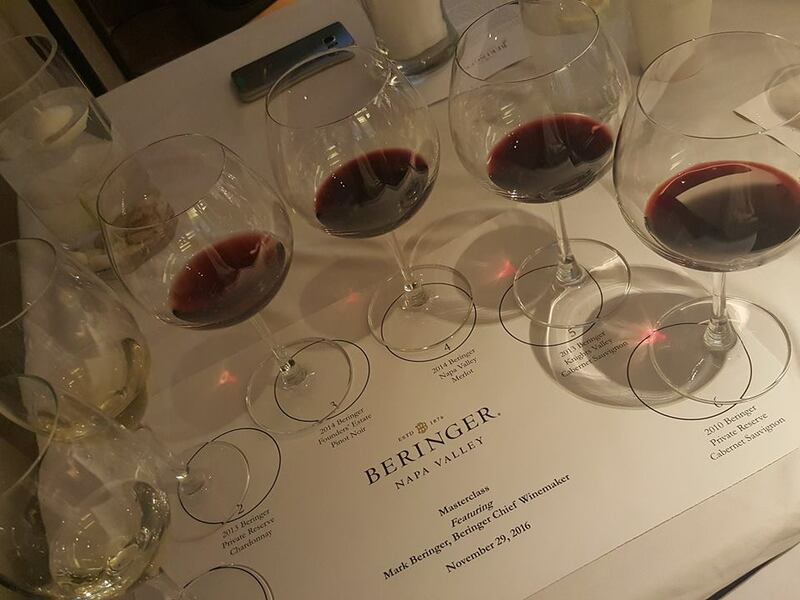 We were treated to a Master Class featuring some of the finest Beringer wines, curated by Mark himself, to further illustrate some of the best his vineyard has to offer. We started with the refreshing Beringer Founders’ Estate Sauvignon Blanc 2014 (Napa Valley), with notes of green apple, roasted pineapple, and sweet lemons; with a bit of oily texture and a nice viscosity that would definitely allow the wine to be paired with richer food. 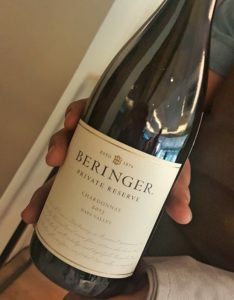 The Beringer Private Reserve Chardonnay 2013 (Napa Valley) was “classy, polished, and restrained”, and exhibited an incredibly refined, creamy texture. 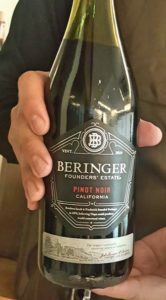 We moved on to the reds, starting with Beringer Founders’ Estate Pinot Noir 2014 (Napa Valley). 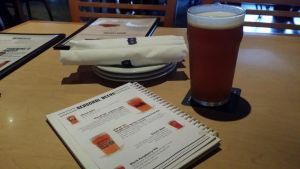 It was fruit-forward (with hints of red fruits, ripe cherries, compote, and preserves), but with a great balance of smokiness brought about by its time in oak. 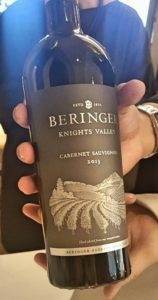 We also had the Beringer Knights Valley Cabernet Sauvignon 2013 (Knight’s Valley, Sonoma County), an incredibly soft take on the grape, with its flavours of black fruits and a touch of herbs, spices, dark chocolate, and roast coffee. 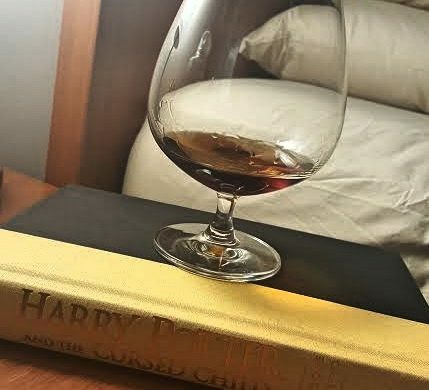 My favourites for the evening were definitely the Beringer Napa Valley Merlot 2014 (Napa Valley) and Beringer Private Reserve Cabernet Sauvignon 2010 (Napa Valley). 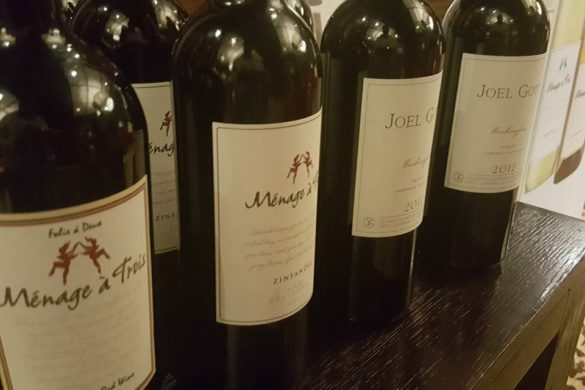 The Merlot, a “blend from up and down” Napa Valley, showcased a perfectly blended wine with grapes highlighting the bright fruit characteristics from the northern part of the region, the “blue” fruits of the middle, and the tapenade aromas of the southern area. 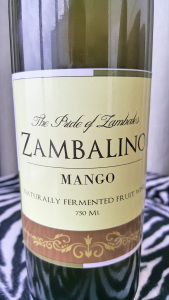 It was a soft, beautifully structured fruit-forward wine that required could be drunk now. 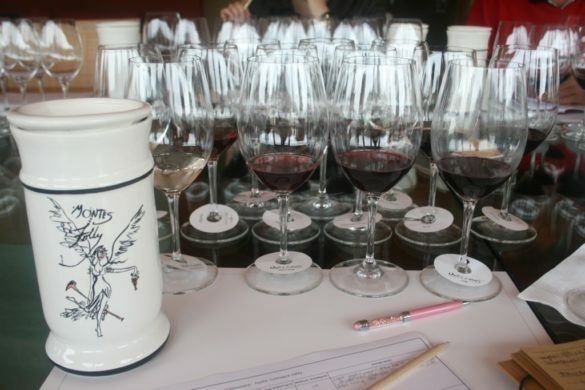 The much-lauded Cabernet Sauvignon (96 points from Wine Advocate, 94 points from Wine Spectator) was a beautiful synthesis of dark chocolate, blackcurrants, smoke, stone, and oak. 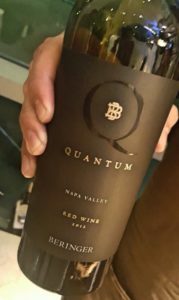 My wildcard was the Quantum, an “unclassified” masterpiece of blends from Beringer’s different vineyards from all over Napa Valley using Cabernet Sauvignon as its “backbone”. Mark calls it a “millennial style” red blend because of its unusual concept of having no definitive regional source. 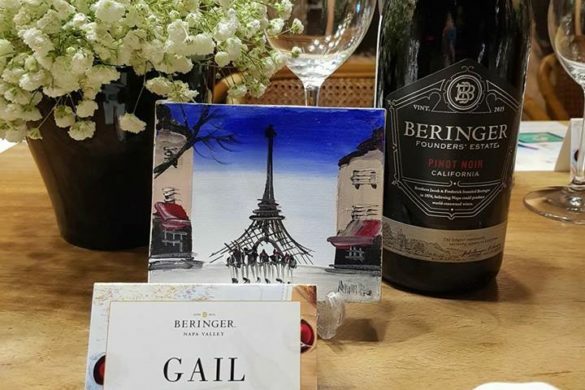 Beringer wines truly imbibe the ability to think outside the box… So much so that they partnered with Internet sensation Murad Osmann (famous for the photos he took of his then-girlfriend-now-wife muse, Nataly with the hashtag #followmeto) called “Better Beckons” for a truly original campaign. 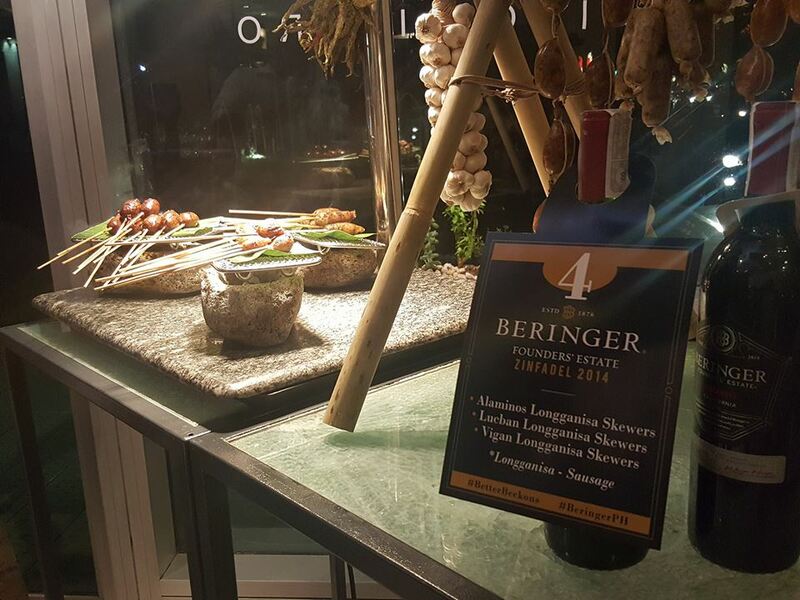 Speaking of originality, we were treated to a dinner showcasing Beringer wines perfectly paired with Filipino cuisine in M Café. 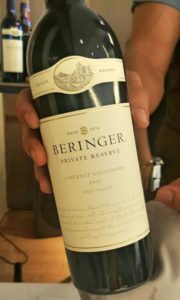 Beringer with Filipino staple Longganisa? Why not? 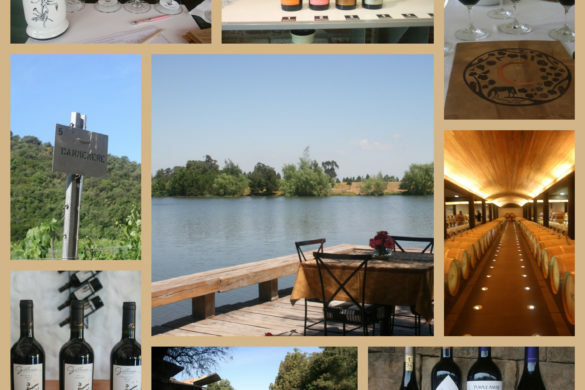 That said, I’m looking forward to seeing the next phase in Mark’s, and Beringer’s, journey… Preferably over glasses of their wine.